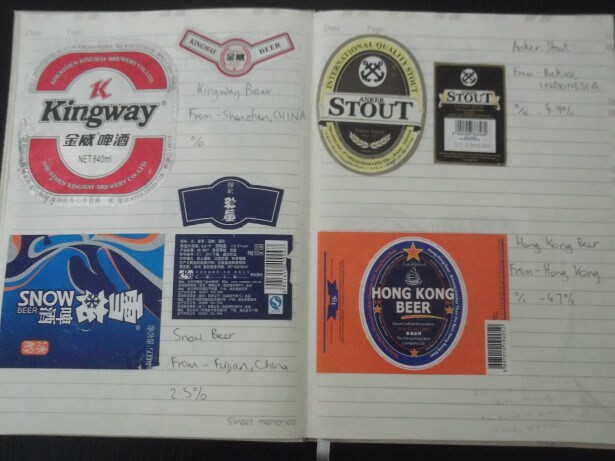 Travel collectables on Don’t Stop Living – beer labels! In my series on travel collectables I talk about things I keep and collect from places I go. Today’s one will make my girlfriend cringe as she hates how I keep stuff which should be thrown in the bin, but hey, this is my thing! I collect beer labels! It’s my colourful visual memory into the many beers I have tried from travelling to 70 plus countries. 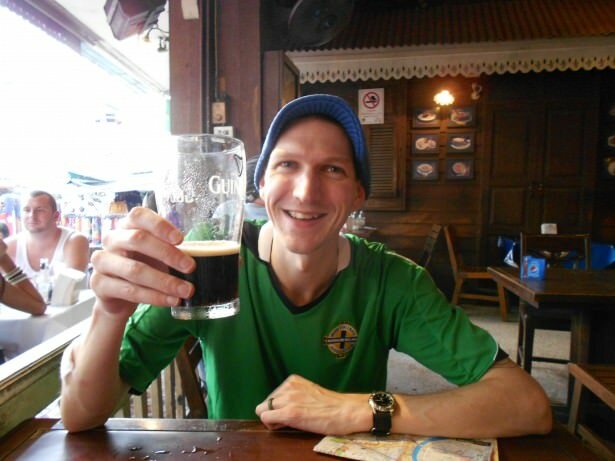 I’m a travelling Northern Irishman who loves to relax with a cold beer! 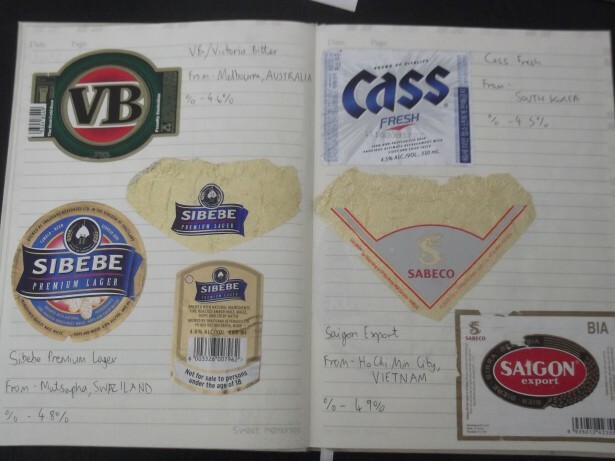 Travel Collectables – my scrapbook with my world beer labels! As a teenager I used to collect actual beer bottles, coasters and cans. I eventually made the cans into a chair and called it my “beer can throne” (this was finally destroyed in 2013 by my family when I was in Asia!). I no longer have space (or even a permanent bedroom) to collect things as bulky as that, so I now collect three things related to beer – beer mats/coaster, beer labels and beer bottle tops. Yes, I still collect all three! 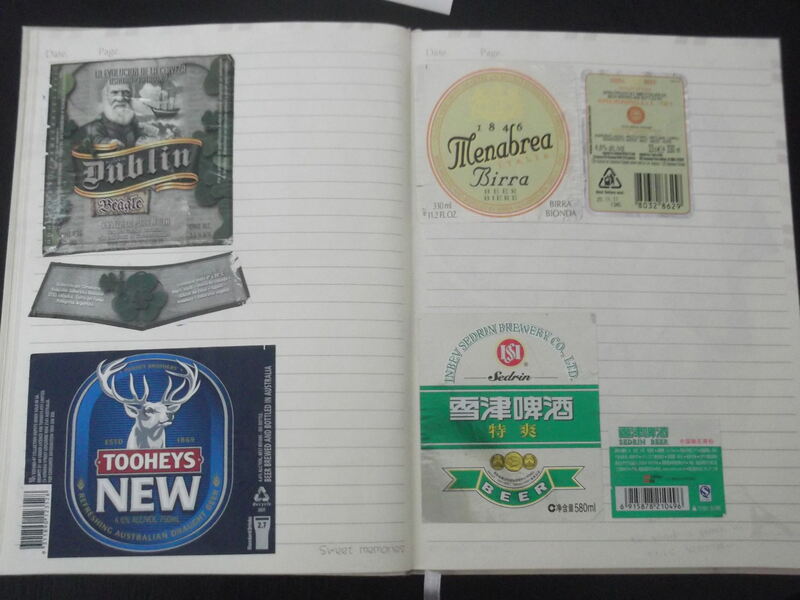 Today I’m writing about beer labels, peeled off bottles! Some more of my random beer labels from around the world – I love to collect them! But I’ve started doing it in a much neater way. I rip them off the bottles and I put them in a scrapbook nowadays where I write where I had it, where it’s from and the percentage of alcohol. It only uses up the space of one scrap book and doesn’t cause clutter! Blue Girl, Joburg Beer, Castle and Windhoek…some of my many beer labels from my travels! I have had a beer in almost every country I’ve been to and these days I keep the label only if it’s a new beer and a label I don’t already have. 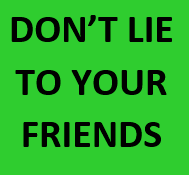 I don’t do repeats! 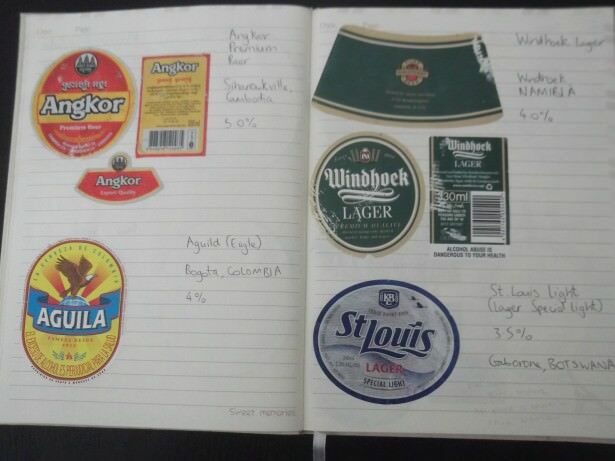 More random beer labels including Aguila from Colombia. I don’t actually write the date I have the beer as I won’t remember all the previous ones, but perhaps if I start doing it this way they will be in order. When I started my scrapbook last year, I just put them in a random order. I now have over 200 of these…and have absolutely NO plans of stopping. Now – how do you actually get the labels off the bottles…? 6. Give up, relax, enjoy your beer and don’t stop living! Collecting beer labels is a hobby of mine but it’s also nice to relax with a pint of Guinness! Cheers guys! Cheers and safe travels guys and girls! Check out my regular Thirsty Thursdays feature for more beer related stuff! Collecting beer labels and sticking them into a scrapbook is one of my travel hobbies! 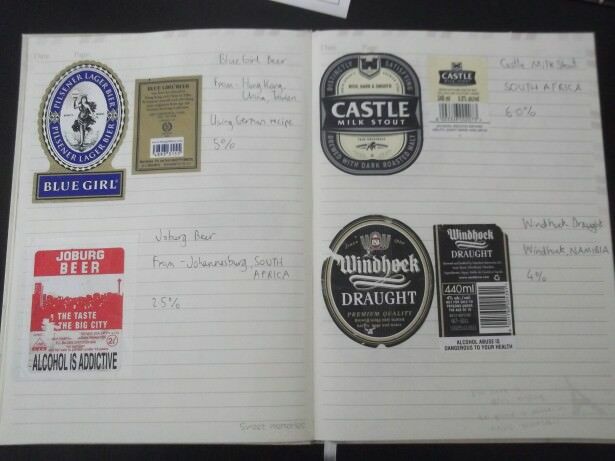 This entry was posted in Beer, Daily Features, Destinations, Travel Collectables. Bookmark the permalink. ← Top 5 Cities I Miss From Europe! Great post! I save all kinds of things others would think were wacky. Health care is free to residents but he had to charge me ($14 USD) when I had bronchitis and tonsillitis so he wrote a receipt and told me to file for reimbursement with my insurance when I returned to the US. 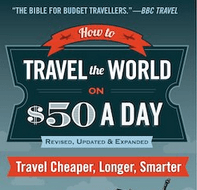 I keep other things that most travellers throw out too Maria – I will be writing about them in times to come. Totally in Czech!! So I take it you never got your $14 US back? Sure it’s only money…as long as you recovered is the most important thing. 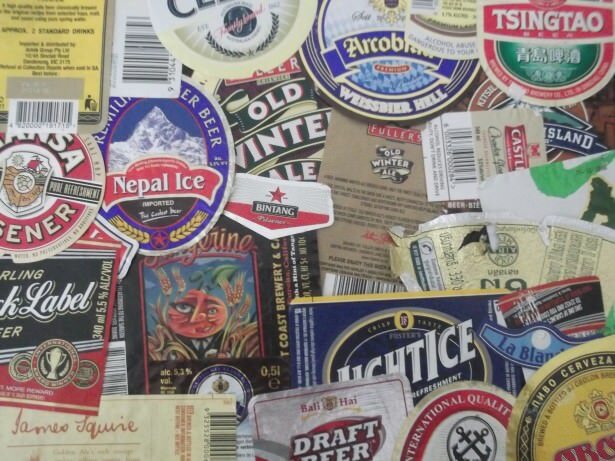 good morning at all fellow travellers friends, my name is giuseppe from italy, I like to collect beer coasters from all around the world, plaese you can help me?? I’ve started collecting beer labels this last year. 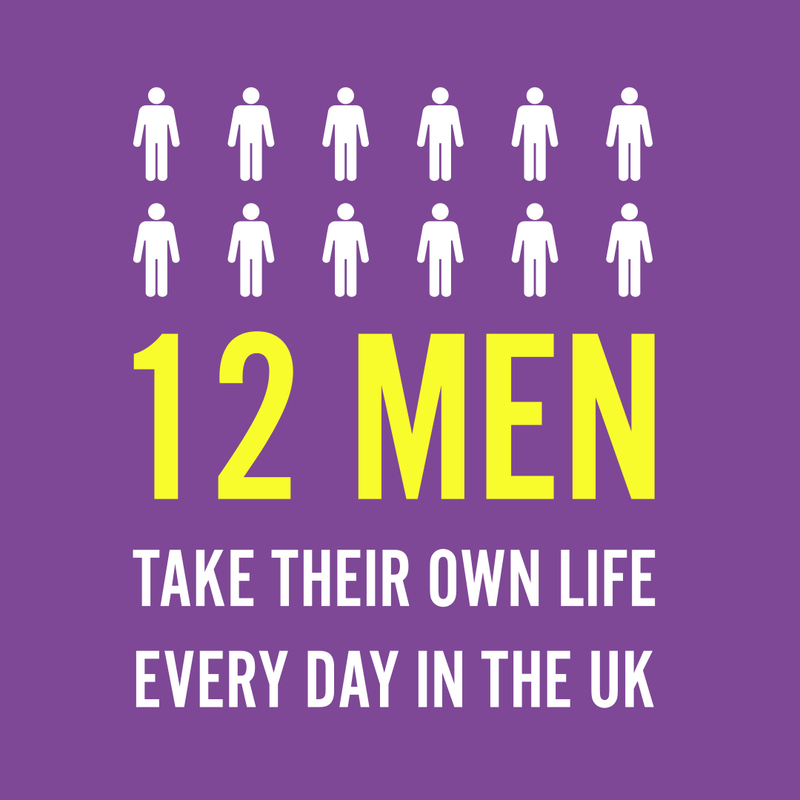 How do you attach them in your scrapbook? They look like they stick down well. Do you use glue?